IPS update. Do you want to attract envious looks? Everybody's got a MacBook Air? 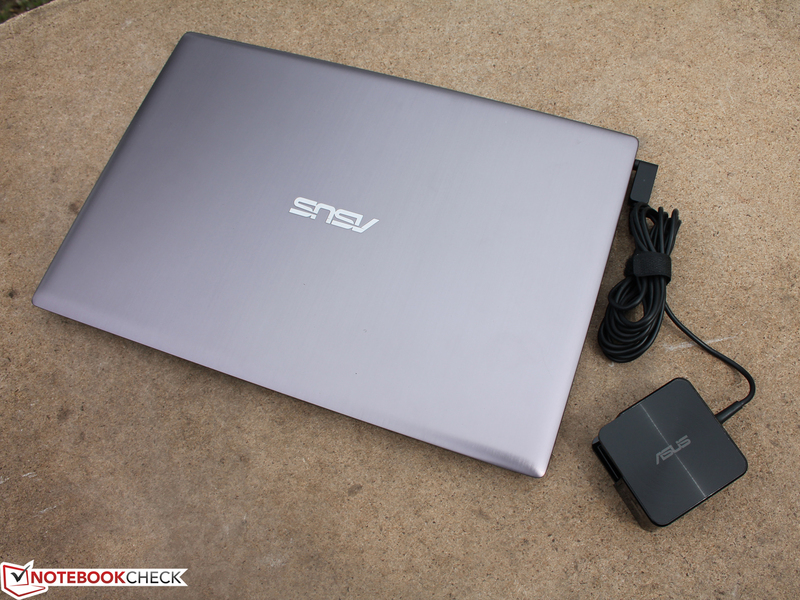 Asus' sleek dandy is available starting at a low 900 Euros (~$1188). Now even with a quad-core processor and color-intensive IPS display in Full HD. Do we now know the bliss of satisfaction? Do a first-class display, high-quality panel and AMD hardware fit together? 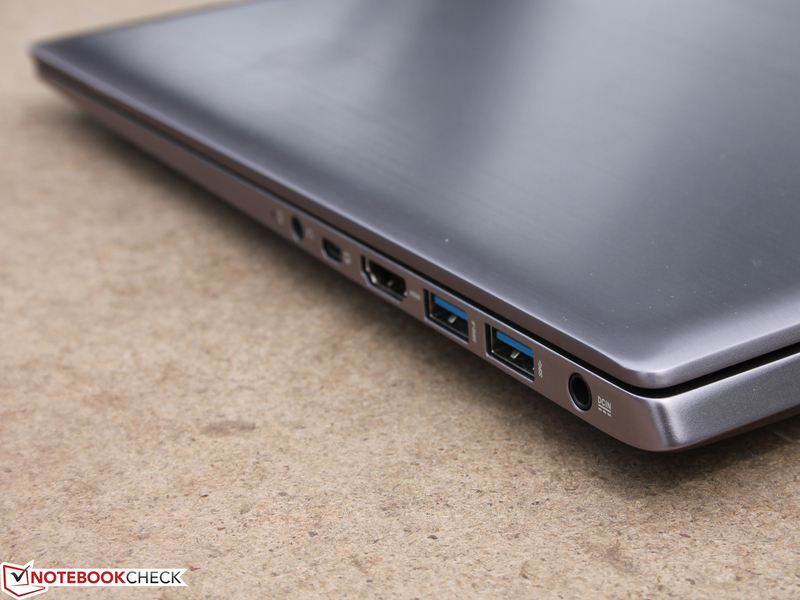 We first reviewed the AMD-based "Ultrabook" VivoBook U38DT in January 2013. 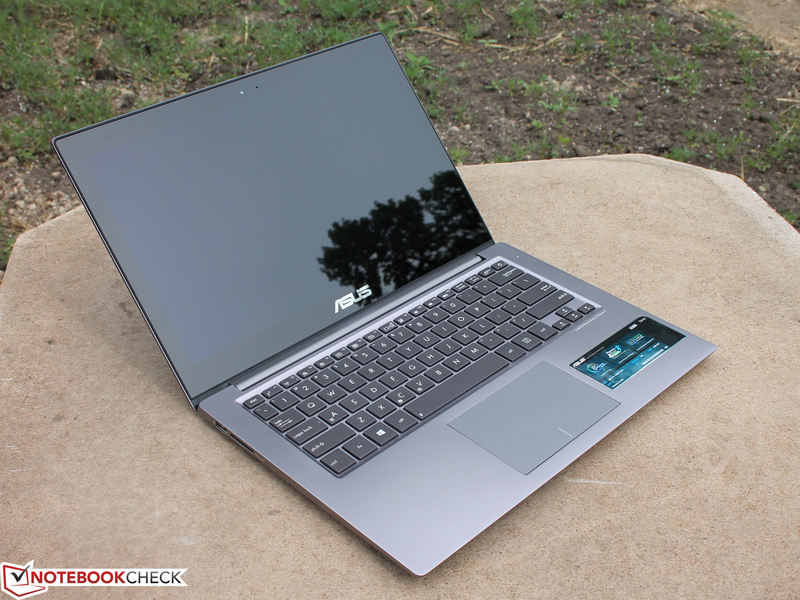 Unconventionally for Asus, in the ultrabook's aluminum unibody they chose not to install a high-end Intel processor, but instead AMD's Trinity platform. However, the quad-core A8-4555M (1.6 GHz) from AMD's A series was a disappointment; even at a normal level of multi-core load, the CPU clock frequency slipped down to 900 MHz. For games, the result was that they were subject to unpleasant jerking even at their lowest settings. Now we are taking a second look at the device. Why? At 1.55 kg (3.4 lbs. ), the extremely light metal case is still very attractive at a price below 1000 Euros (~$1320). At a current market price of 900 Euros (~$1188), nowhere else will you find an aluminum unibody case with a touch-display -- that is a machine that will lend you some bragging rights. Asus also polished up the panel: Instead of the traditional lean HD fare, there is a Full HD IPS panel with crisp colors and wide viewing angles. 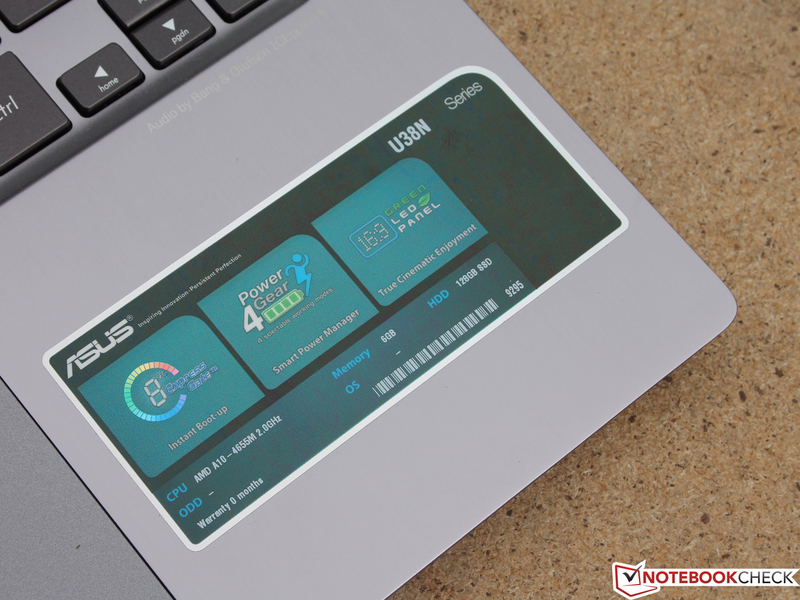 We want to know if Asus solved the throttling problem. 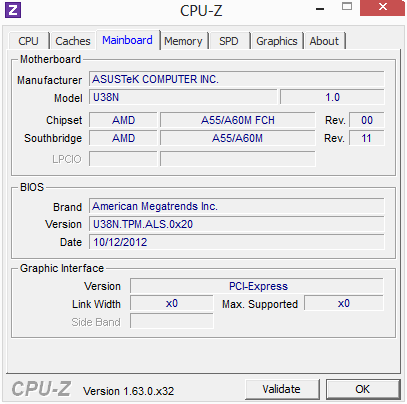 The system is now equipped with a quad-core processor with a higher clock rate -- the AMD A10-4655M (2.00 GHz, 25 Watts). What did the manufacturer think up to cool the processor better? 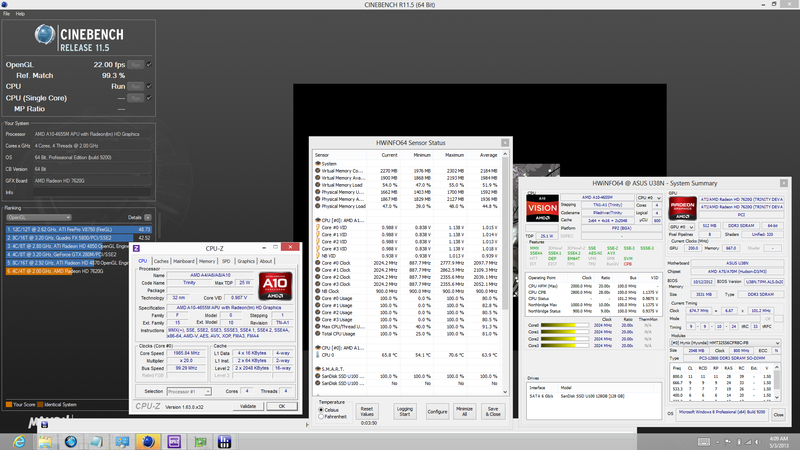 After all, the A8-4555M already had throttling problems at 19 Watts. Is it worse at 25 Watts? How do the high-resolution IPS Full HD panel and the comparably weak hardware fit together? 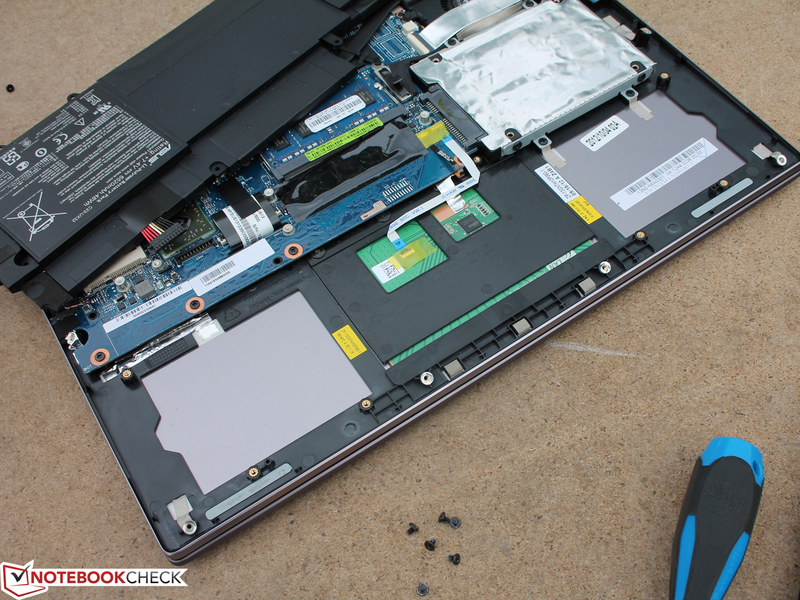 Whether the VivoBook U38N-C4004H is worth purchasing is a question we are about to answer in this comprehensive review update. Due to the fact that the manufacturing, connectivity and input devices have not changed, we will jump right in at the display. 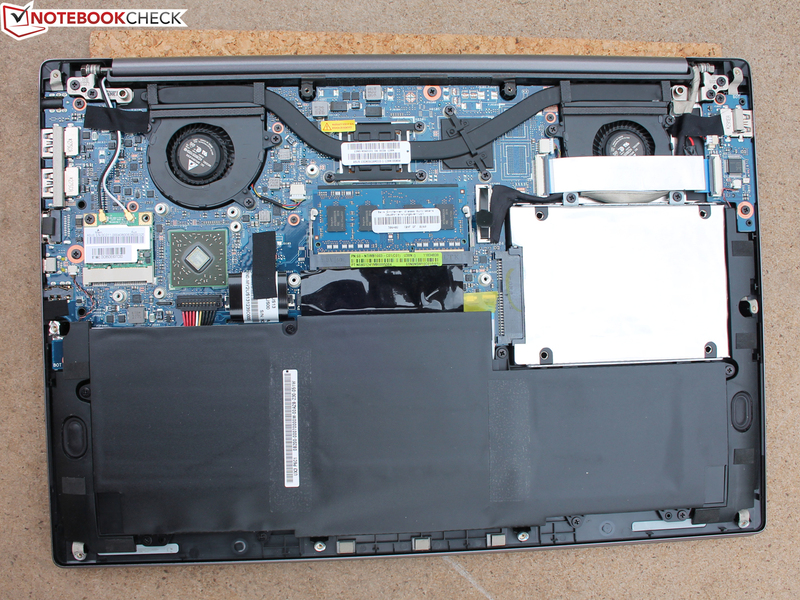 To read about the topics we have left out in this review update, please see our review of the structurally identical VivoBook U38DT. The immediate competitors are subnotebooks that also have high-quality IPS panels with a resolution of 1920x1080. The only devices on the market in the range of 1000 Euros (~$1320) are models from Samsung and Asus. Lenovo's IdeaPad Yoga 13 with an HD+ display (1600x900 pixels) is also an interesting consideration, available for about 1000 Euros (~$1320). 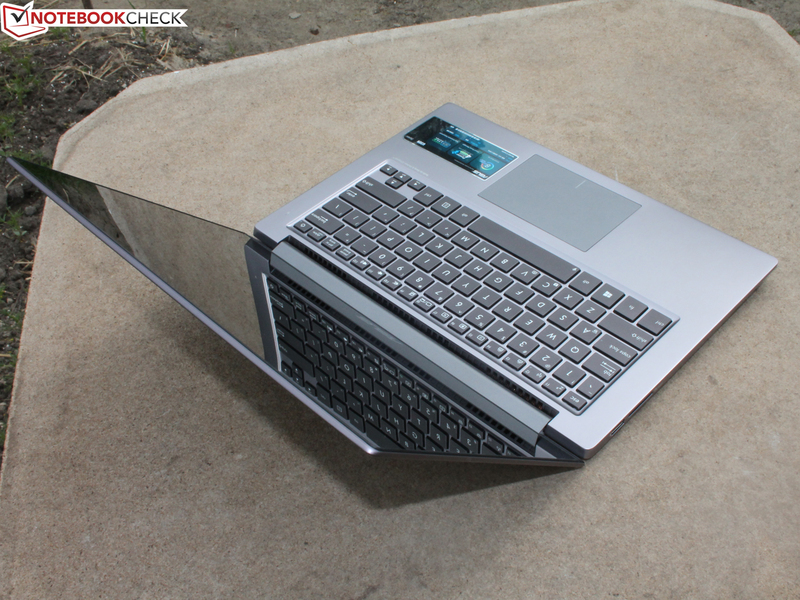 The VivoBook U38DT excited reviewers in January 2013 with its excellent case made entirely of aluminum. The U38DT and U38N are constructed identically, except that the multi-touch panel required a small alteration in the construction. The display frame of the formerly matte panel has disappeared, and we are now looking at an edge-to-edge design. The frame would have hindered operation of the device with fingers and made cleaning a more difficult task. 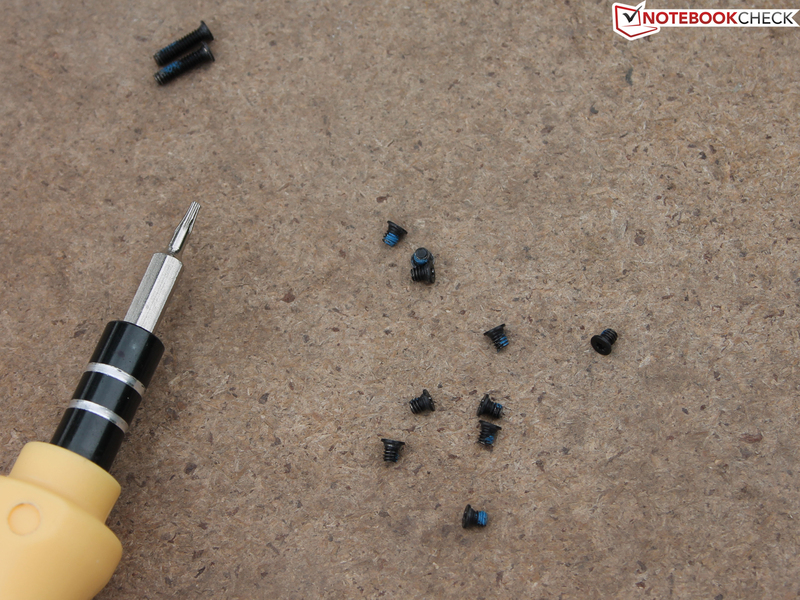 For that reason, all laptops with touch panels use this kind of construction. The new construction is not a disadvantage when it comes to the lid's resistance to twisting -- on the contrary. All the way to the corners, the lid can only be marginally twisted. Pointed pressure from the top side of the lid does not provoke any distortions on the display. The touch panel, however, is not quite so stable. 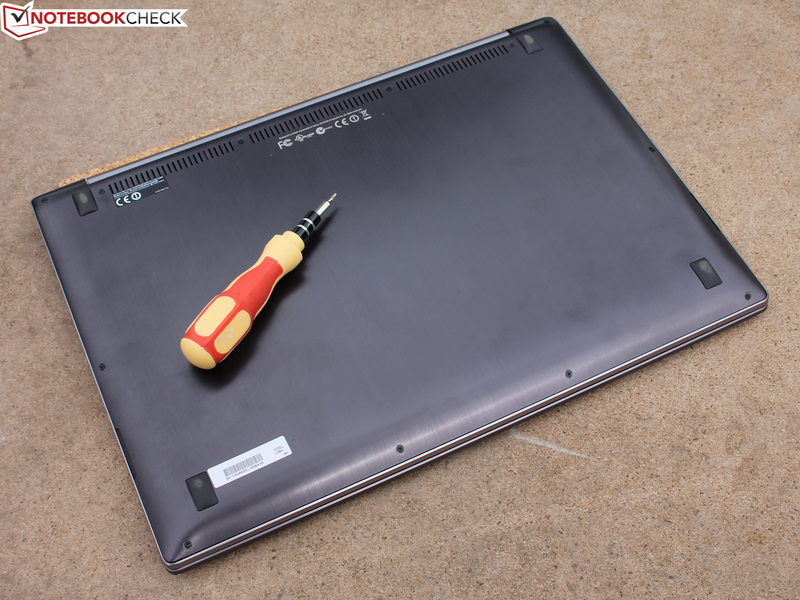 Protective Gorilla glass or similar materials used on tablets have yet to be implemented in the construction of touch notebooks. Medium-strength pressure on the display provokes significant streaking in the rim areas. A rubber lip running all the way around the display allows the lid to close softly and with precision on the base unit. We are big fans of the tightly adjusted hinges. Their tightness does mean it takes two hands to open the notebook, but the lid is not driven backwards by the pressure of fingers on the screen. It would not be able to go too far anyway, as the lid hits a stable stopping point at about 130 degrees (its widest open angle). Due to the fact that the test device for our review of the U38DT was on loan from a store, we chose not to unscrew its case. The U38N is not getting off so easy. 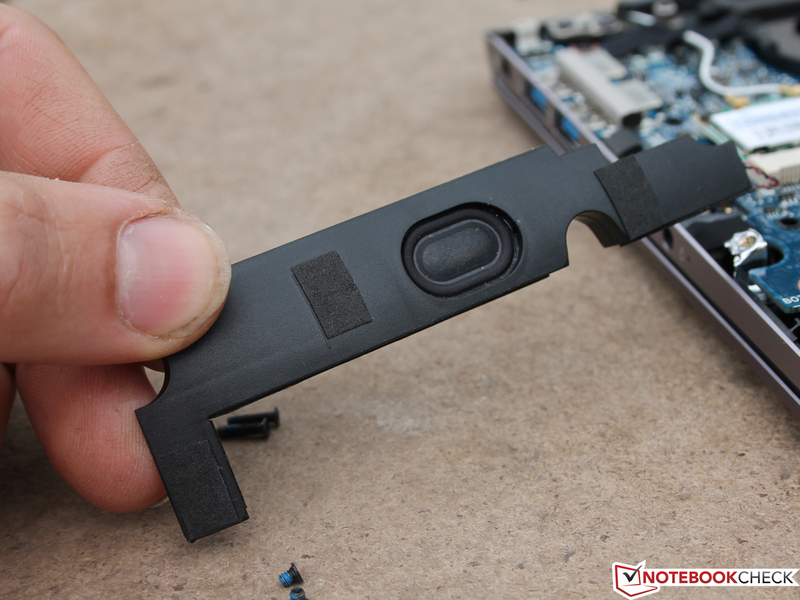 After loosening all the screws on the bottom of the device, the whole cover can be taken off. The SSD is in the commercially standard 2.5-inch form, the working memory is partly hidden (2 GB onboard), and the WLAN module sits in the Mini PCI Express. 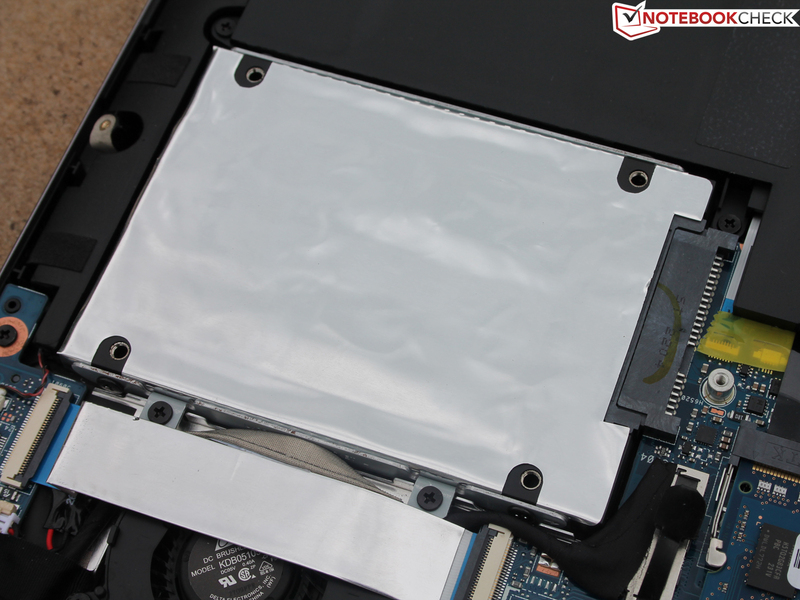 No less valuable is the possibility of cleaning the fans and switching out the battery. The latter is held in the case with eight screws. "First-class: The top and bottom shells are each made of a single piece of aluminum. Now with a multitouch screen. Due to its low resolution and small viewing angles, the reviewer of the U38DT did not like its conventional HD format TN panel. 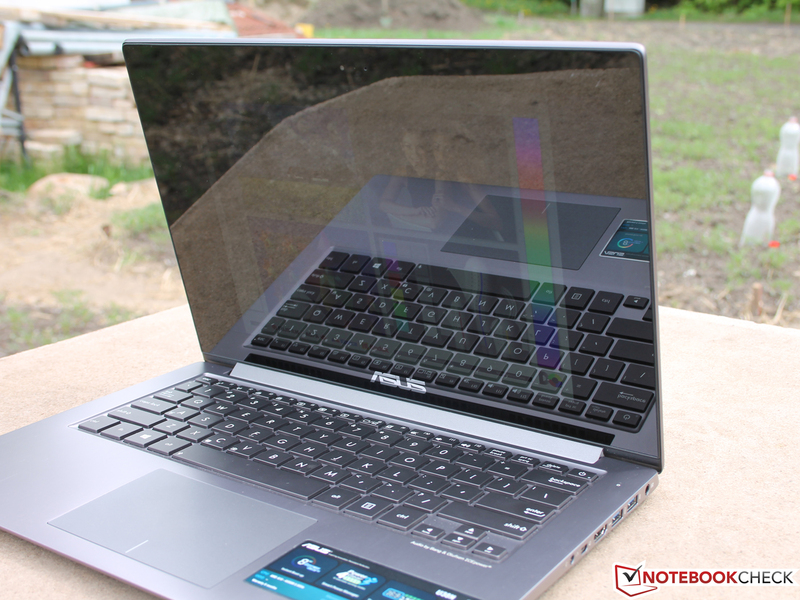 Now Asus has made a clever move and complemented the notebook's premium case with a premium TFT panel. We are referring here to a 13.3-inch panel with a resolution of 1920x1080 pixels, amounting to a pixel density of 166 ppi. HD panels only have 118 ppi. The 10-finger multi-touch screen comes from CMN (Chi Mei Innolux) and answers to the name of N133HSE EA1. 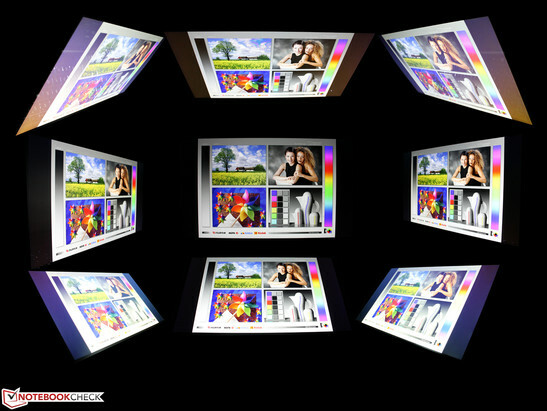 The glossy IPS-TFT has a high contrast: 1084:1. Combined, the glossiness and contrast of the display make for bright colors and good viewing angles. Colors and outlines appear extremely clear and vibrant, further bolstered by the display's high brightness. 335 cd/m² (measured at the middle of the screen) is the maximum setting, and that is available in battery mode as well. The panel's specs sheet refers to 350 nits. 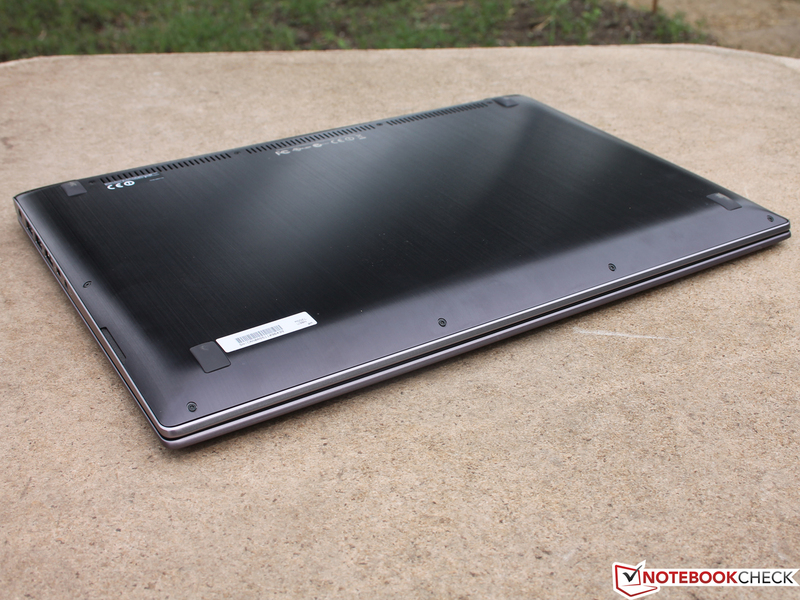 An ambient light sensor in the top edge of the panel adapts the brightness to the notebook's surrounding environment. We brightly lit said environment for our measurements, forcing the panel to ratchet up to its maximum brightness. The illumination, i.e. the even distribution of brightness across the TFT panel, is very good for a model with this level of brightness. At 90%, there still are not any over lit areas around the edges (bleeding) or bright flecks in monochromatic images. Still, professional color spaces are not a topic to be discussed with this panel. The display hardly approaches being able to cover the sRGB color space, hence neither can it cover AdobeRGB. Only the UX31A does better here -- its display almost covers the sRGB color space. The following row of screenshots shows the color analysis of the i1 Pro 2 photospectrometer and the CalMAN 5 software. In the panel's factory state, we measured a minor weakness in its rendering of gray tones. The average DeltaE(2000) deviation was six. Noteworthy: At 5881 K, the white point is close to the ideal of 6500, but it is shifted too far into the warm region. You can see that with your naked eye on the grayscale screen in the lighter white tones (hint of beige). It is the opposite for most panels -- their white point values are over 7500 and too cool. As a result, this panel does not have a blue cast; its colors are perceptibly warm. The color saturation screen reveals exactly the same thing. Magenta does not slide into the blue region as it does on so many laptop panels -- instead it is shifted towards green. Green itself is noticeably shifted towards red. Blue is the only of the six colors with a DeltaE(2000) deviation of <3. Summed up, the panel's color accuracy is relatively poor, even if the eye registers the warm colors positively. Nevertheless, most users will like the warm and crisp colors, measured here in their uncalibrated state. 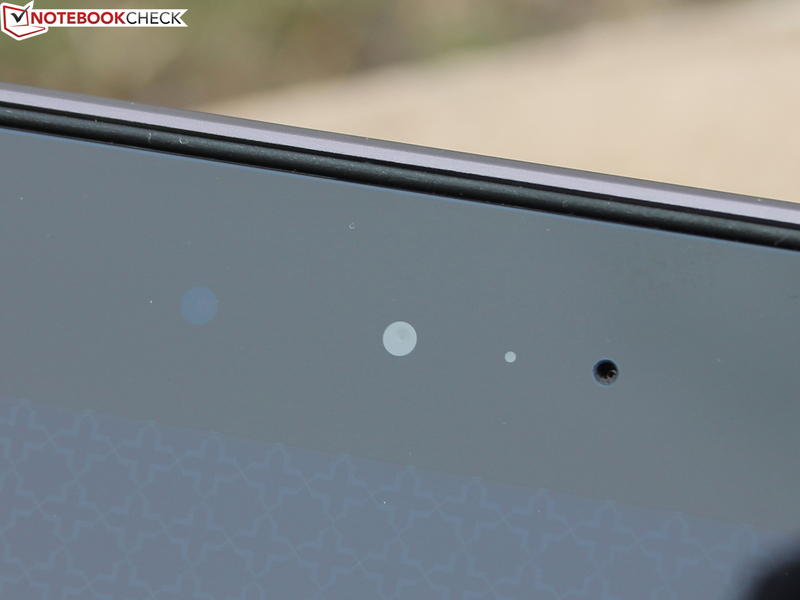 Due to the glossy TFT surface, the question of outdoor use quickly becomes tricky. In unfavorable lighting situations, even the high brightness level will not be of much help. The following photos were taken under a partly cloudy sky, and already in that environment the screen is practically invisible from the side. However, in the shadows and viewing the screen from the front, we were able to enjoy a comfortably bright and easily readable display. Viewing angles are still the greatest strength of IPS panels. Looking vertically from above and below -- where a TN panel already loses visibility at 20 degrees -- here it is possible to adjust the viewing angle by up to 70 degrees without color inversion. The only minor problem is that the screen develops a certain pallor at very flat angles. On the horizontal, ghost images only make an appearance starting at around 85 degrees. 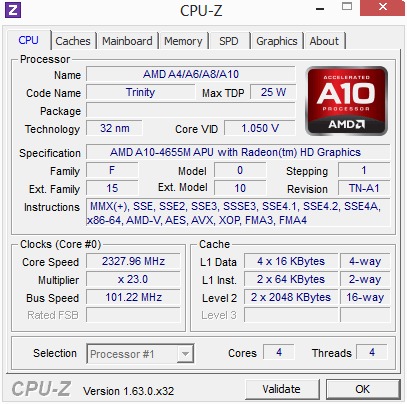 The Trinity based AMD A10-4655M (2 - 2.8 GHz) is a quad-core processor for mid-size notebooks. The 32 nanometer APU was introduced mid-year 2012. But, because it has been seldom installed, this is our first time testing it. 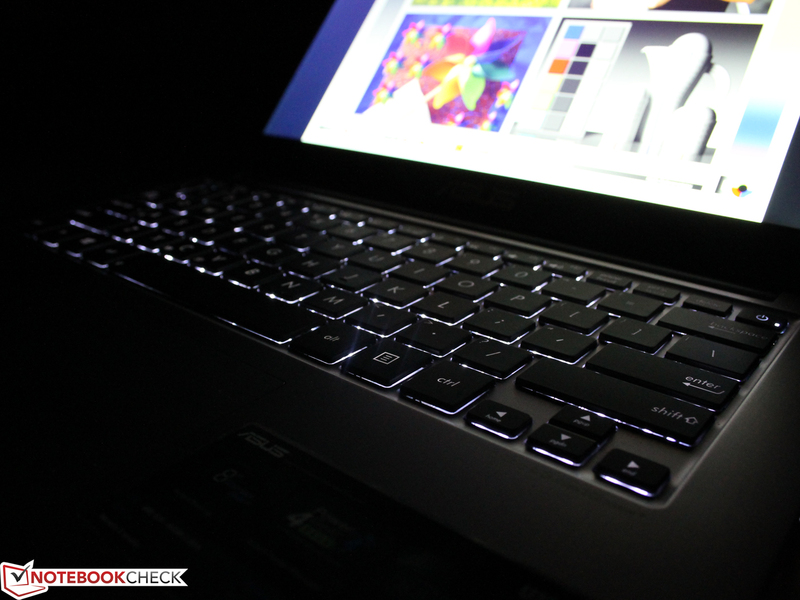 The VivoBook U38DT has the sister APU A8-4555M (4 cores, 1.6 - 2.4 GHz) on board. Their performance has the potential to be very different, seeing as the clock speed should increase relative to the new TDP of 25 Watts (A8 19 Watts). The low-voltage system contains a Radeon HD 7620G (IGP) that represents the maximum configuration of the Trinity GPU (384 Radeon cores). What that means for games, and how significant the difference is between the Radeon HD 7620G and the Radeon HD 7600G or Intel HD 4000 are questions we will answer in our sections on graphics and gaming performance. The platform is finished off with a SanDisk U100 SSD (128 GB) and 4 GB RAM. The latter is split in two; that is to say, 2 GB are soldered to the mainboard, and 2 more GB are installed as a standard SO-DIMM. Expanding the memory to 6 or 10 GB would be easy. In the U38DT, the A8-4555M (1.6 GHz) processor throttled massively under multi-core load -- the clock rate throttled down to 900 MHz. Going into our tests with that picture in mind, we observed the CPU performance very carefully. 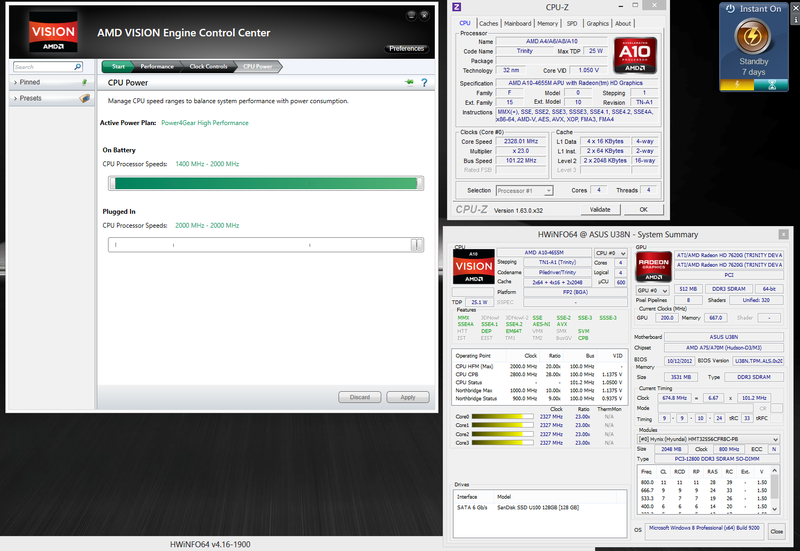 In the AMD Vision Control Center, you can manage the CPU speed ranges both on battery and plugged in. We of course set the notebook to run at its optimal performance. 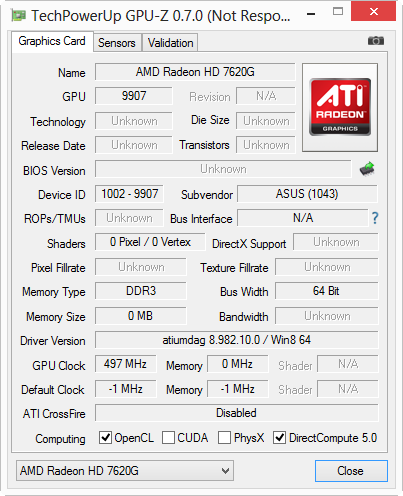 The U38N performed the Cinebench R11.5 multi test at 1.8 to 2.3 GHz (fluctuating). In battery mode, the processor ran the same test at a constant 2.0 GHz. So no trace of throttling. Intel based competitors, like the UX31A, run the multi test 20 to 40% faster (i5). 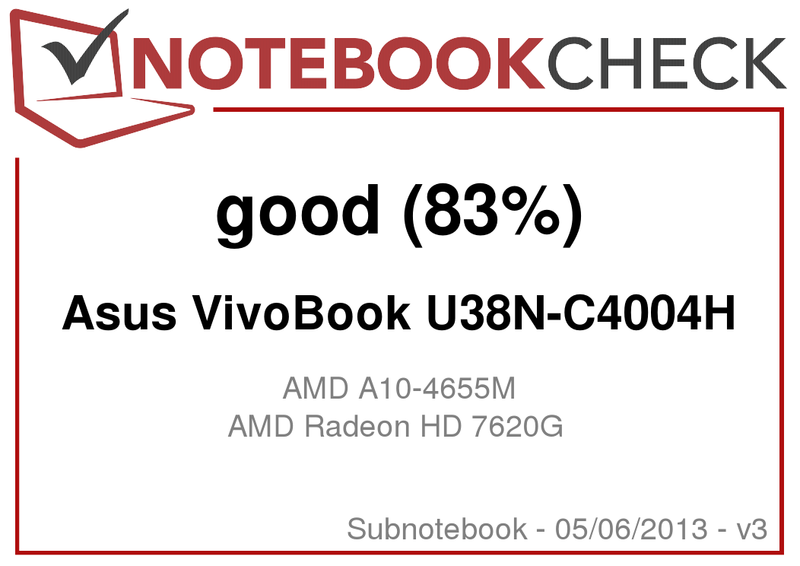 One interesting note is the big lead our test device has over the Asus UX32A, which as a low-cost Zenbook is still equipped with an outdated Core i3 2367M (-20%). The sister notebook of our U38N, the U38DT with its A8-4555M processor, computed a whole 53% slower as a result of the CPU's quickly induced throttling. The single-core tests paint a somewhat different picture: The lead our test device has over the A8 reduces to 19%, and the lead it had over the Sandy Bridge i3 disappears entirely (now +2%). Still, i5-3317U systems remain 40% ahead. The OpenGL tests also yield a satisfying result. The Radeon HD 7620G integrated in the APU reaches 22 fps, which is a negligible 3% more than the Radeon HD 8550M in the U38DT. The 8570M in the Samsung Ultra Touch 740U3E-S02DE is 3% slower, probably due to the system's limited memory clock speed. Intel's HD 4000 systems reach between 13 and 17 fps, depending on their use of GPU turbo and dual-channel status. 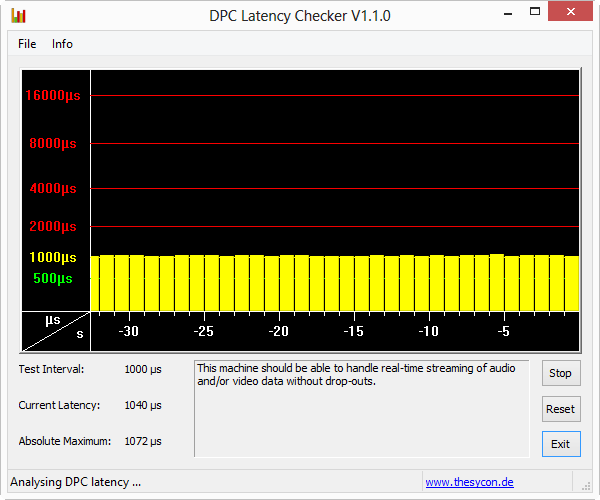 We take a look at the PCMark 7 test to get an impression of a system's application performance. 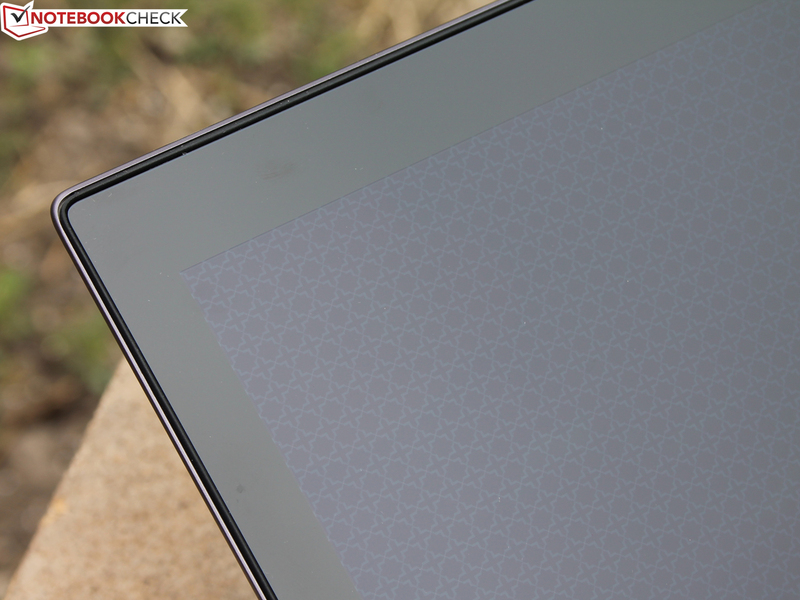 Our test device's score of 1955 points does not seem all that high; the UX32A comes in just a little behind (-11%). But the System Storage score shows that we are not dealing with a slow SSD here. 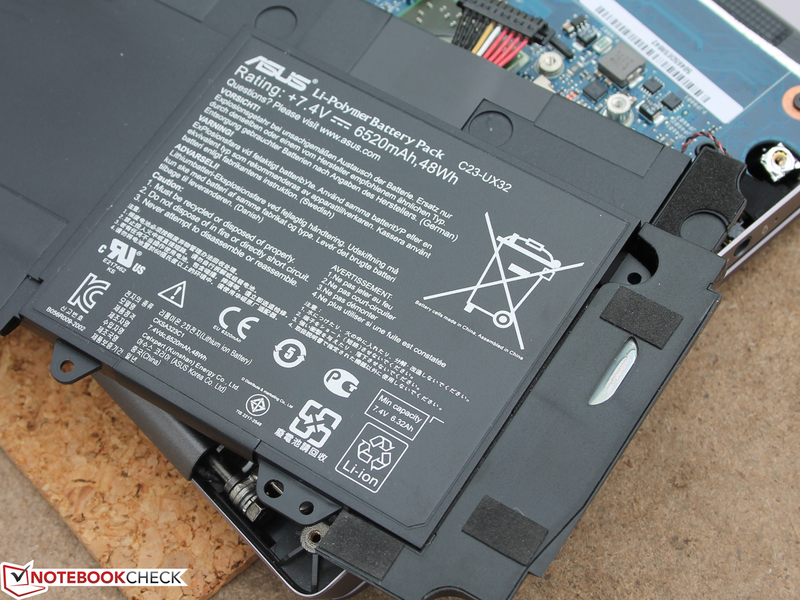 The UX32A only has an HDD alongside 32 GB SSD cache. The systems with quicker SSDs and Core i5 or i7 processors are more nimble in both the System Storage and Computation portions of our tests. However, these are all theoretical values. In practical use, the U38N is very swift to react, starts from cold within 17 seconds, and finishes copying tasks quickly. One thing is clear, though: Performance enthusiasts will not enjoy the AMD APU. It is better to pay out the extra 200 Euros (~$264) for a UX31A with a Core i5 and a high-end SSD. The HD 7620G's gaming performance is not a real argument in favor of the APU subnotebook, as we will analyze more in-depth further down. Not a quick SSD? The sequential read/write times of 494/336 MB/s certainly do not look half-bad. However, as is so often the case, it is a little slow reading and writing small, scattered files (4K tests). But, that is the norm, especially for system files. 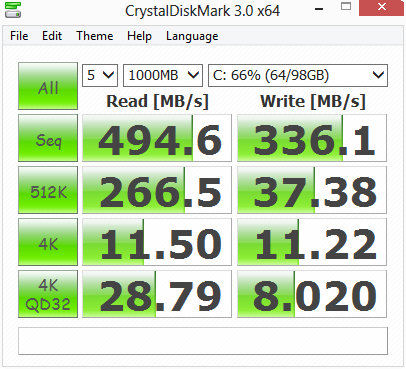 Here the U100 only performs at 11 and 7/8 MB/s (Crystal Disk Mark/AS-SSD). We demonstrate this with the following bar graph. 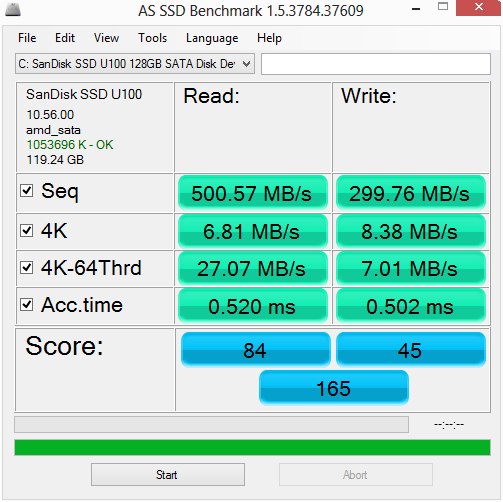 A current Samsung SSD PM841 is 91% faster here; an ADATA XM11 in the UX31A a whole 146%. However, this is not reliable data for every UX31A with an SSD. Manufacturers are free to install a variety of SSD models in one series. 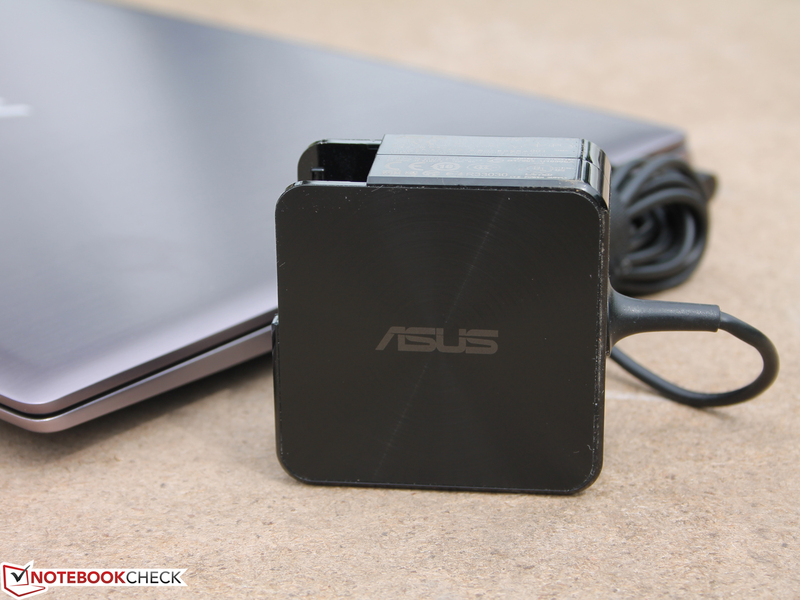 Asus did exactly that with their UX31A in the past, which is why some buyers ended up with a slower SSD than they wanted. The AMD Radeon HD 7620G profits from the Trinity GPU architecture's maximum configuration: 384 Radeon cores work their muscles, though the frequency was reduced to 497 MHz. The dual-channel memory has a positive effect on GPU performance. While in the U38DT an HD 7600G (IGP) and a Radeon HD 8550M (dedicated) work together dynamically (Enduro), our U38N constantly computes with its HD 7620G. The OpenGL (see Processor Performance; same result) and 3DMark 2006 tests reveal that this is not a disadvantage for our current system (+10% for the U38N). In 3DMark 2013 we unfortunately only have scores for the throttling HD 8570M in the Samsung 740U3E. Depending on the test, the scores only differ by around +/- 10%. How does the HD 4000 do in comparison? 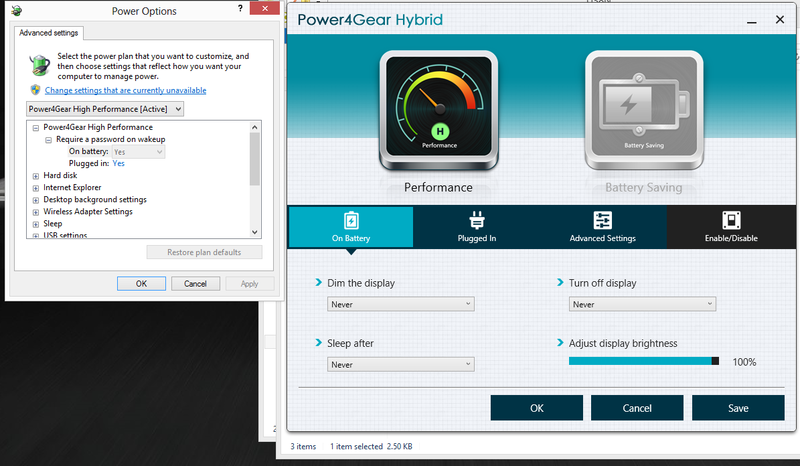 Accompanied by a strong CPU, it is still 16 to 33% slower (3DMark 2006) than our HD 7620G (Yoga 13, UX31A). 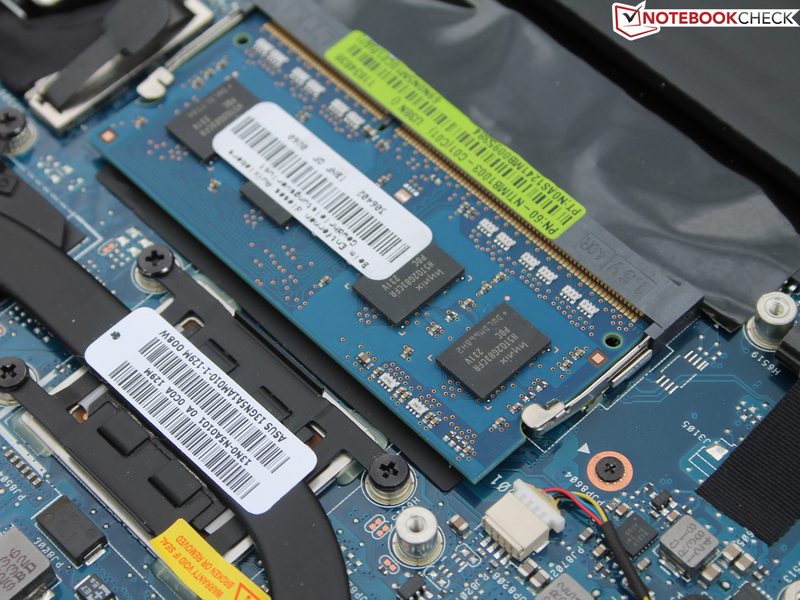 Up until now, the Radeon HD 7620G has consistently claimed a slight lead over the HD 4000, HD 8550M and HD 8570M. Do the games themselves see things the same way? Generally no, according to our little sample (see table): In FIFA 13 a dual-channel HD 4000 can be a whole 40% faster (6430u), but otherwise 25% slower (S400CA). 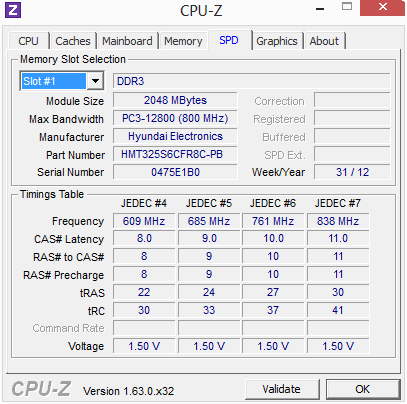 In FIFA 13, the U38DT manages about the same number of frames per second as the U38N, despite having a somewhat slower processor. Samsung's 740U3E profits from its strong Core i7 and runs even the demanding SimCity game at 116 fps. 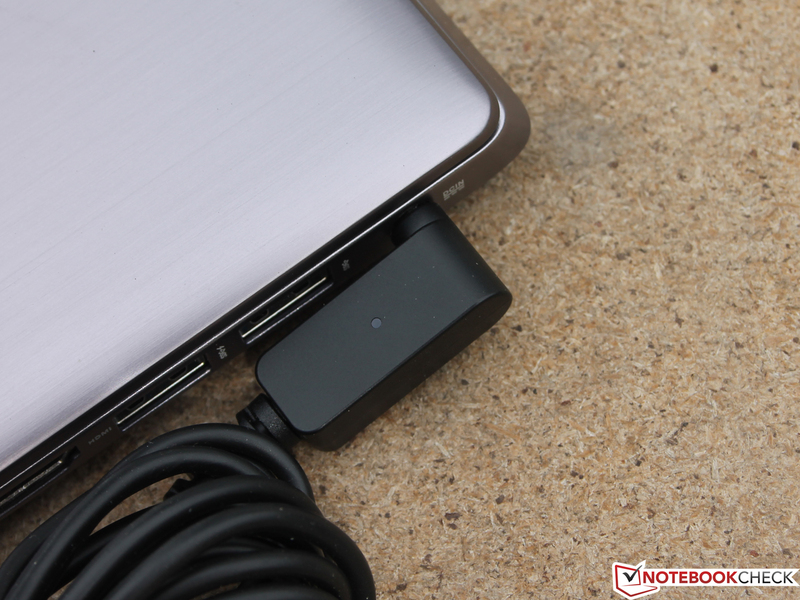 The 6430u with its HD 4000, though weaker, also does better than our test device (37 fps). 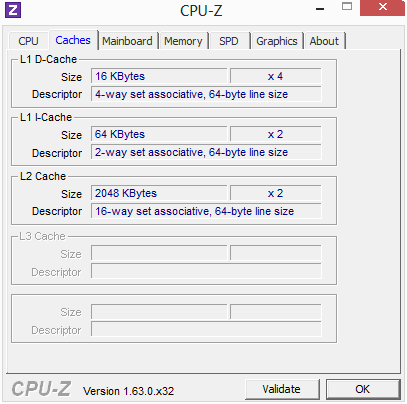 High processor performance can also sometimes be very useful when running games. Decent performance, low gaming performance and two fans; the cooling should run reasonably quietly, one would think. But this is not the case for the U38N. Even after several hours in idle mode, we measure a constant 33.8 dB(A). The fans do not turn off for even a second; they just keep on whirring audibly. Under load this level of volume would be completely acceptable, as long as it were steady. However, considering the notebook's comparably weak performance and intended use as a mobile subnotebook for various office tasks, this volume is too high. Its sister, the U38DT, does better here (fan never off, idle 31 dB(A)). Under load the U38N gets louder. 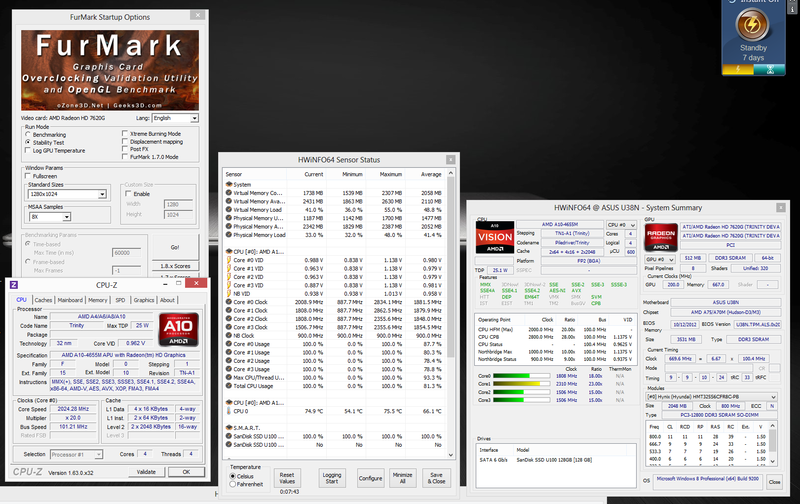 The fans generate about 37 dB(A) during the 3DMark 2006 test. The stress test pushes it even further: 39 dB(A). We measure the sound pressure level from a distance of 15 centimeters (~6 inches). The cooling fans' constant work keeps the case nice and cool in idle mode and during office use. Neither on the top nor on the bottom does the average temperature exceed 25 degrees Celsius (77 degrees Fahrenheit). Things look different during the stress test, in which FurMark and Prime95 run simultaneously for several hours. In one spot near the fan vent under the hinge we measure 49 °C (120 °F). The average temperature of below 40 °C (104 °F) is still appropriate, even for lap use. The palm rest remains relatively cool (33 °C, 91 °F). The CPU throttling to 900 MHz that we discovered in the U38DT returns during simultaneous GPU load (FurMark). That is an improvement! 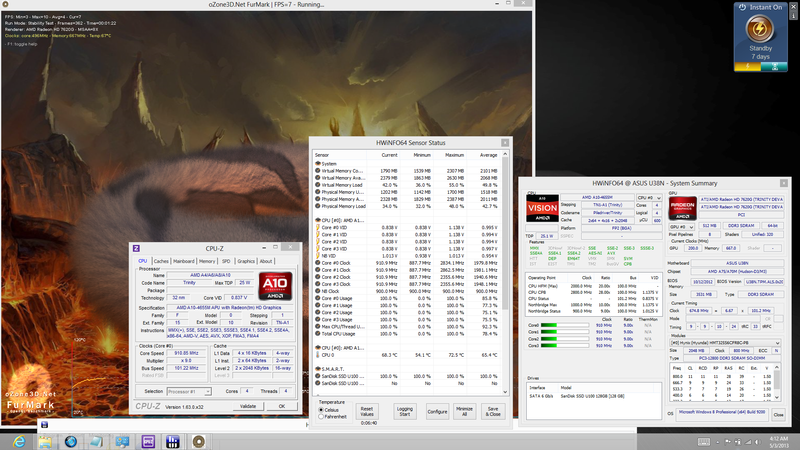 In the U38DT, the A8 APU already fell to 900 MHz during the normal CPU multi benchmarks. That is not the case here, which is why the results are so high in comparison (see above: Processor Performance). While the CPU's clock frequency is between 1.8 and 2.3 GHz in Prime95 (multi-core) when the test runs alone, as in the CPU benchmarks, the CPU throttles immediately after FurMark starts (GPU stress). The cause for that cannot be the system temperatures, since they level off at 68 °C (154 °F). This throttling is logical and consistent, as dynamic TDP distribution between the CPU and GPU is the fundamental function of an APU. Due to the fact that the HD 7620G takes precedence over the CPU, the quad-core has to be content with less energy and therefore throttles to 900 MHz. This is why CPU-intensive games always have relatively bad frame rates in APU systems, even though the graphics card should be able to do better in theory. (±) The average temperature for the upper side under maximal load is 37.5 °C / 100 F, compared to the average of 30.7 °C / 87 F for the devices in the class Subnotebook. (+) In idle usage, the average temperature for the upper side is 25.5 °C / 78 F, compared to the device average of 30.7 °C / 87 F.
(-) The average temperature of the palmrest area of similar devices was 28.6 °C / 83.5 F (-4.5 °C / -8.1 F). The acoustic quality of the speakers is relatively balanced. The speaker housing is not quite as good as in the similarly constructed AsusPro BU400VC. We do not hear any crackling at the highest volume setting, but the sound loses some detail. The amount of energy the notebook draws from the power outlet reveals that the system is truly frugal and uses little energy, especially in idle mode. 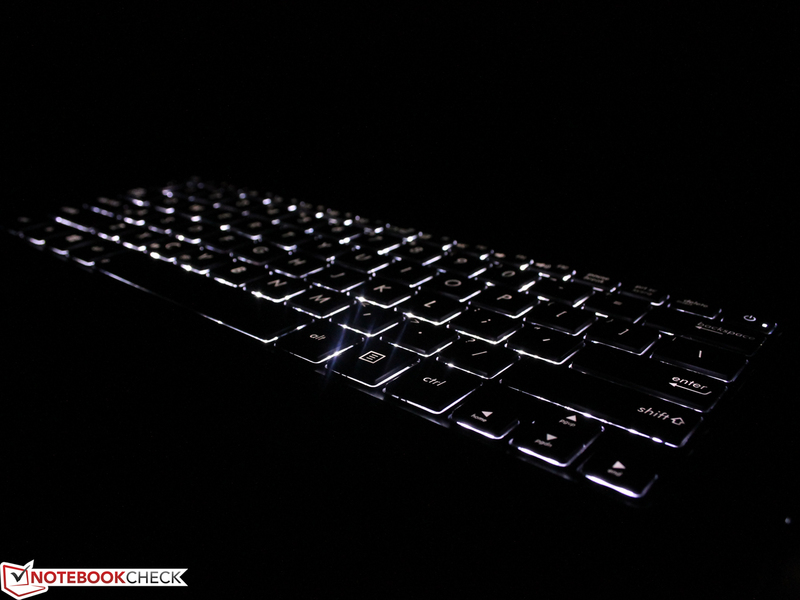 If you darken the screen to its lowest setting, which the brightness control options do allow, you can reduce the system's energy consumption to 6.9 Watts. At 7-10 Watts, the Intel competitors in the same format consume similar levels of energy. 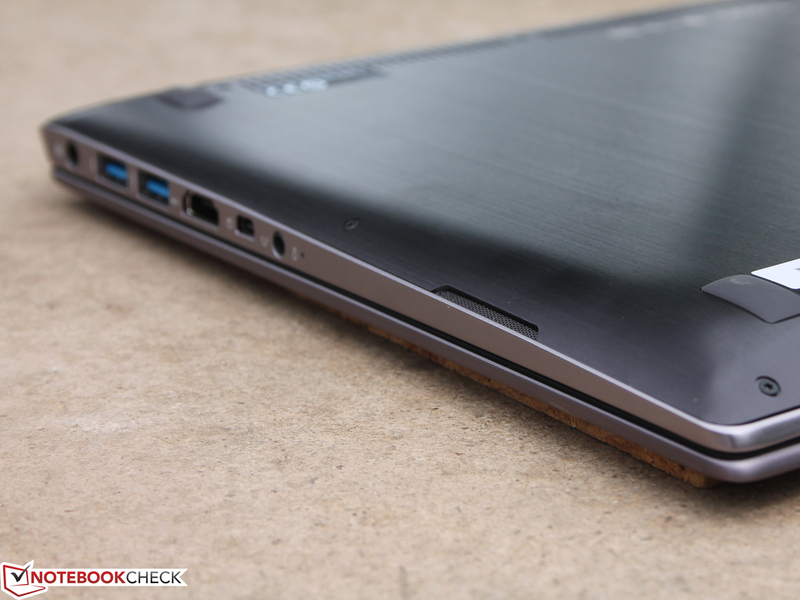 The only exception is the laudable Zenbook Prime UX31A at 4 to 10 Watts (even with its equally high brightness). 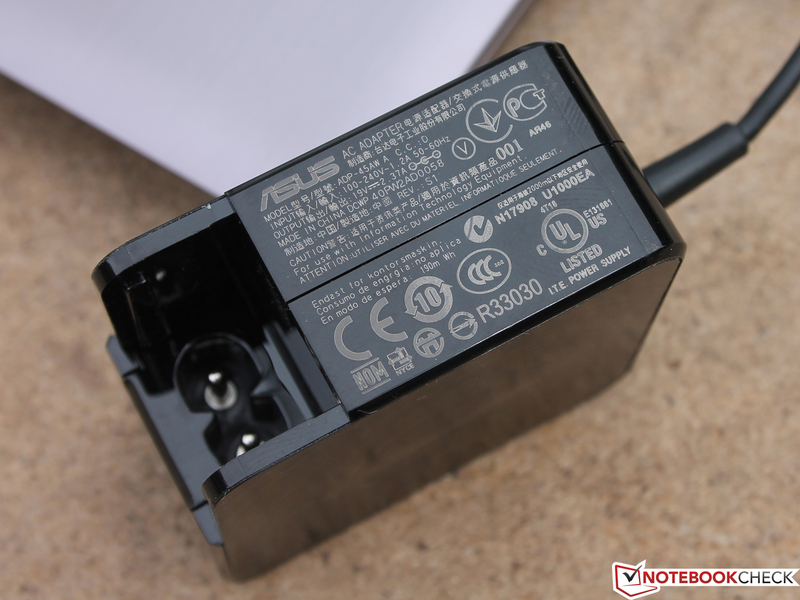 To charge the internal battery, the small 45 Watt power supply needs 2:27 hours. The effect of the CPU's throttling on the notebook's power draw is revealed in the stress test: We measure 38 Watts -- normally this number exceeds the measurement taken during the 3DMark 2006 test (here 40 Watts). Generally, the stress test and 3DMark 2006 values are very similar in APU systems because the TDP is split between the CPU and GPU. The difference between the two values is higher in Intel systems (HD 4000), as long as there is no throttling. The notebook's battery life is disappointing: In the WLAN surf test (intended to simulate practical use) with the brightness set to 136 cd/m² (closest option to 150 cd/m²), the lights go out after 3:51 hours. That was true of the U38DT as well. The competition does better here. The inexpensive UX32A R3001V (4:22 h; 45 Wh) only tops the U38N's battery life marginally. The Zenbook Prime UX31A (4:42 h; 50 Wh) and the Samsung 740U3E (6:47 h, 57 Wh) are superior in this area. The Watt hour specifications make clear: The U38N does not need more energy per se than the Intel systems. The Intel systems simply have higher capacity batteries. All that glitters is not gold. In this case, we mean the silver-colored U38N in its elegant unibody case. Doubtless, the combination of a luxury barebone system and a color-rich, bright touch-display (IPS FHD) at a price of 900 Euros (~$1188) is extremely attractive. For the UX31A Touch with the same strengths, you will have to fork over 1200 Euros (~$1585). However, those who can do without the touch TFT can get their hands on said competitor for 1000 Euros (~$1320) too. The compromise you have to make for the low price is the AMD platform and the no more than average SSD performance. It would be easy to live with that, since the performance is more than sufficient for the usual office tasks. The CPU throttling that occurred with the U38DT only crops back up during simultaneous and high GPU load. What really bothers us are the incessant, loud double fans; they are always running and never shut off. There are no options in the BIOS to change their behavior. 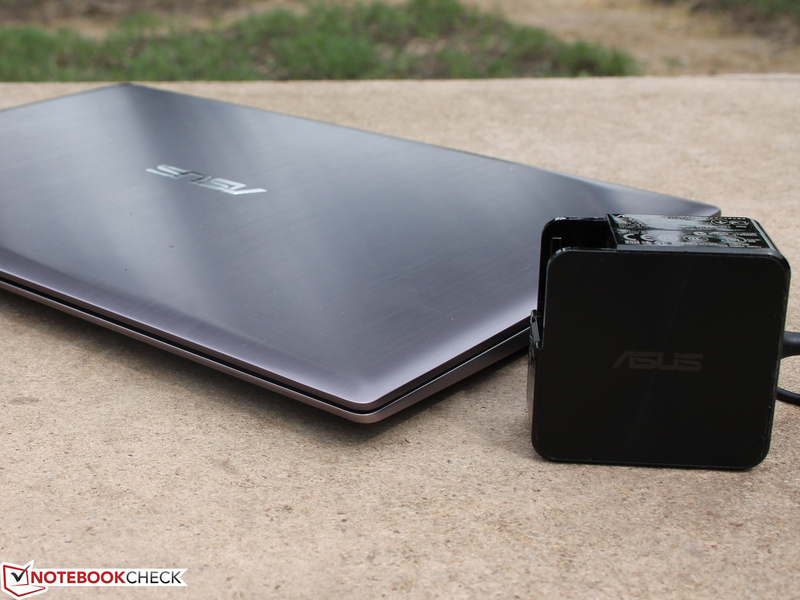 From a price perspective, the UX32 and UX31A models from Asus are the best alternatives. 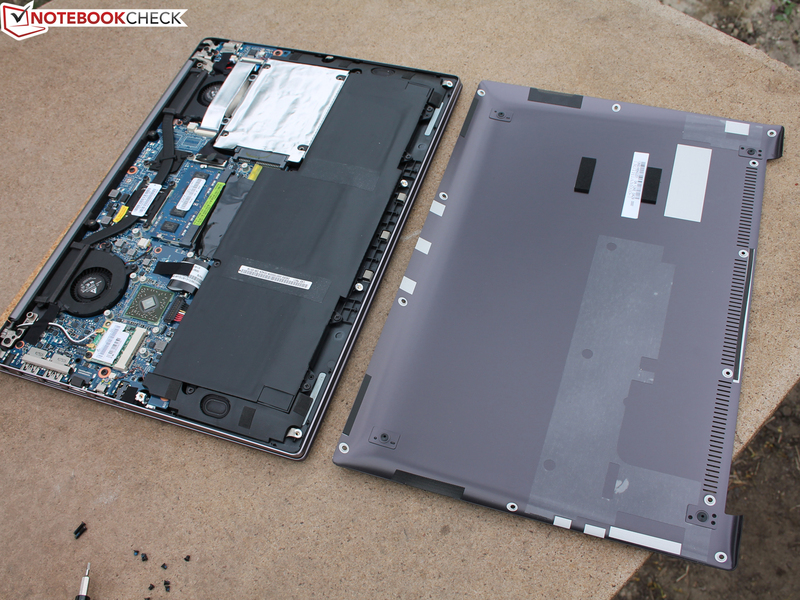 The 13.3-inch notebooks are available in numerous configurations, so it is possible to gradually move towards a lower price. Anyone who needs to be a little more frugal and can do without the SSD and the aluminum unibody can currently get their hands on a Zenbook UX32A-R3001H with an HD panel for about 750 Euros (~$990). Under the moniker of Zenbook UX32VD, the ultrabook is even available with a GeForce GT 620M and Core i7 for under 1000 Euros (~$1320). Frame dropping in processor-intensive games is a thing of the past with that notebook. The majority of 13-inch subnotebooks on the market also cost under 1000 Euros (~$1320), but they only offer HD resolution and usually a weak TN panel. The best-manufactured of these HD models (1366x768) are Dell's XPS 13 (FHD version 1300 Euros (~$1717)), HP's Folio 13 and Sony's Vaio SV-T1312V1ES (touch version). 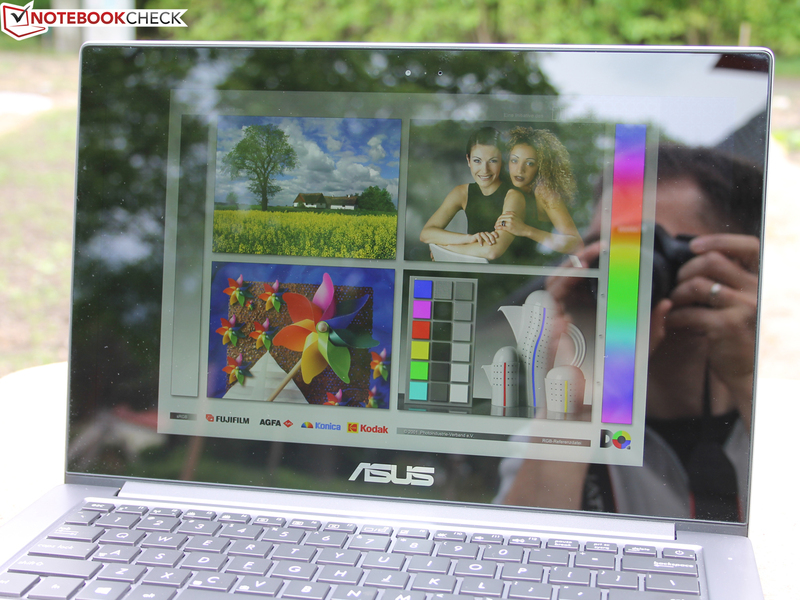 ...Asus is offering an elegant 13-inch notebook. ...and referred to as "unibody". ...of any current notebook case. 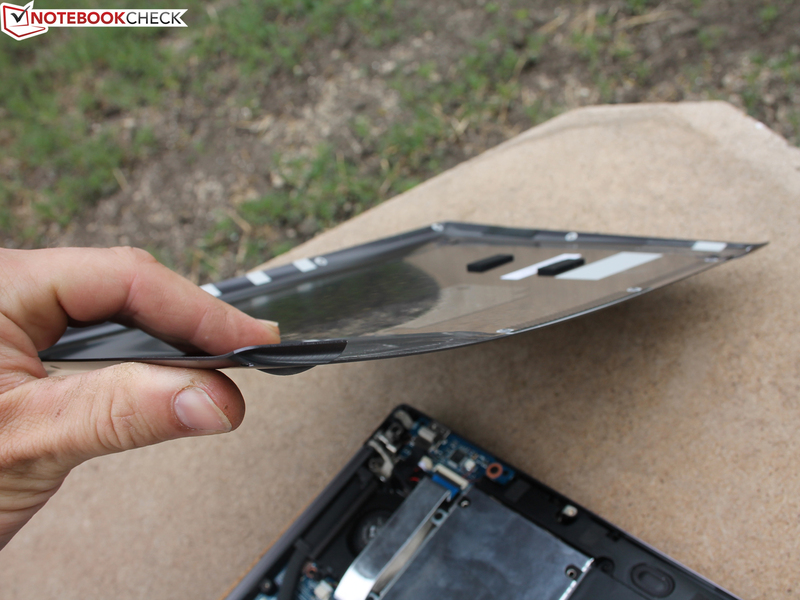 The bottom shell is also made of brushed aluminum. A multitouch panel is built into the U38N. ...though it's not currently available (U38DT = non-touch HD). Is it possible to open the thin 19 mm case? ...the inner life of the notebook is completely accessible. The battery can be removed. 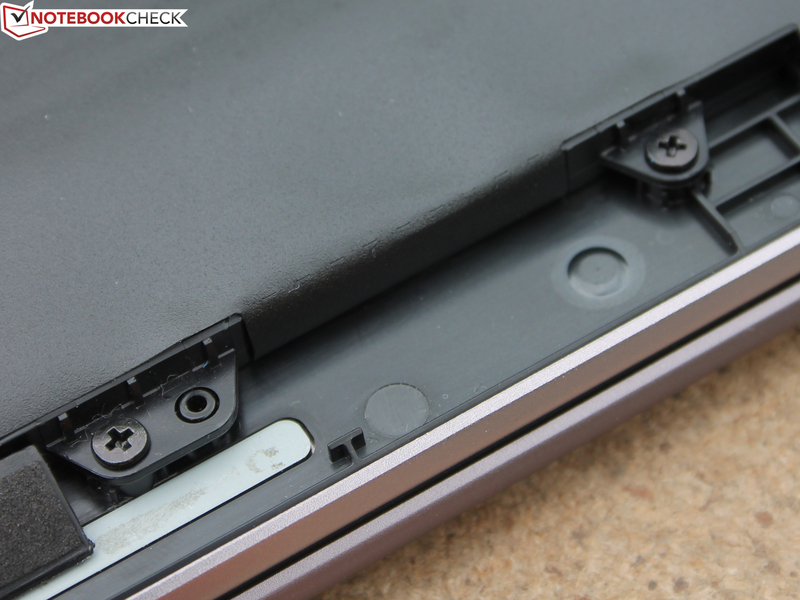 The 48 Wh battery is affixed to the case in several places. 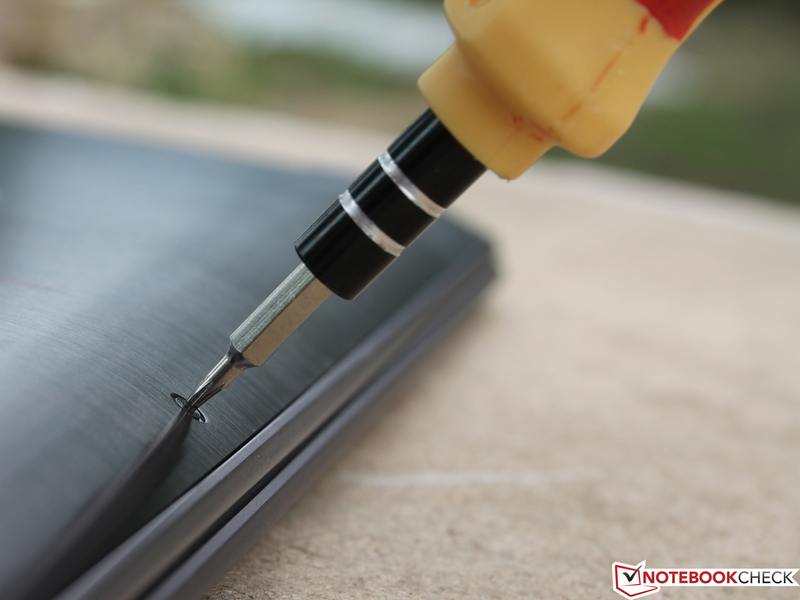 That makes the base of the notebook very resistant to twisting. Two gigabytes of RAM are on a module, two more are soldered (onboard). The little speakers prove to have strong audio -- insofar as is possible. Aside from "off" it has two different brightness settings. Unfortunately, during typing the keyboard bends in the middle. ...was one of its sister's accessories too (the U38DT). ...for the low-voltage hardware that's just enough. 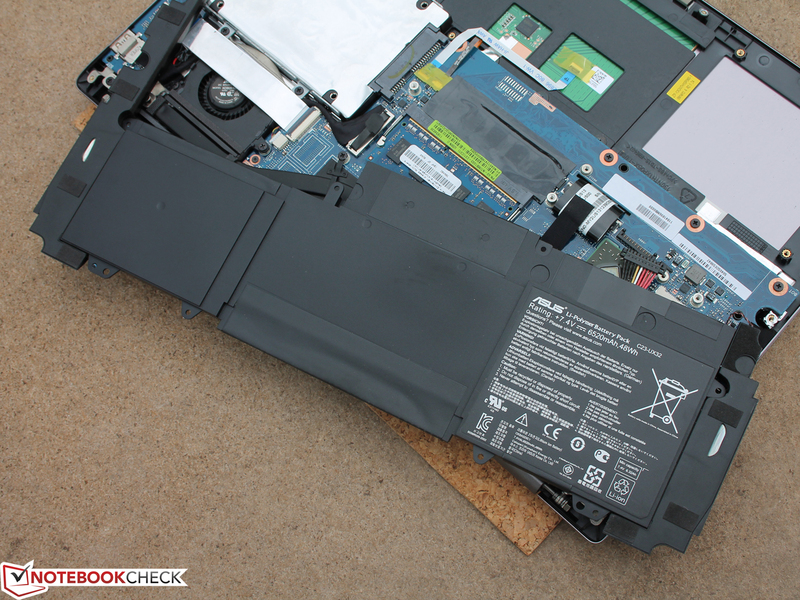 ASUS VivoBook U38N-C4004H: Why both fans run constantly and audibly, even in idle mode... considering the notebook's comparably weak hardware, we can't explain it. 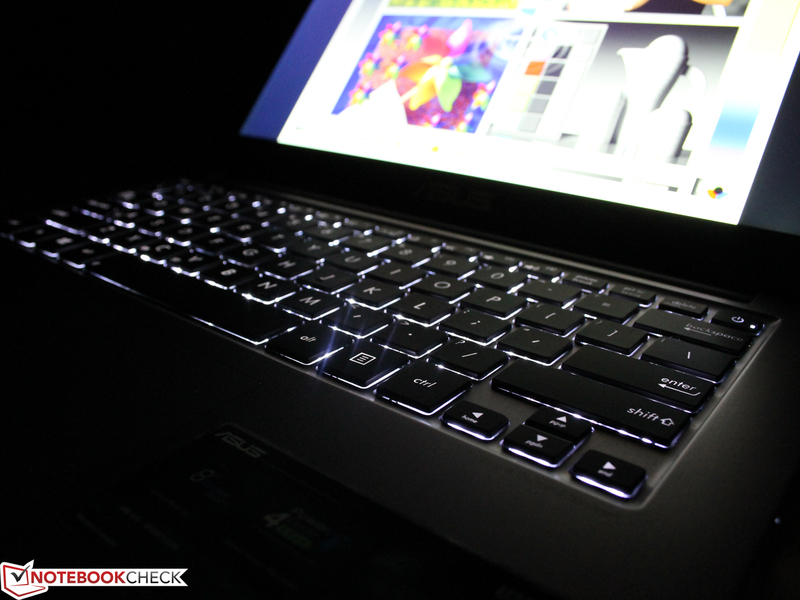 ASUS VivoBook U38N-C4004H: The viewing angles are very wide, the colors too warm (though we perceive their warmth as pleasant). 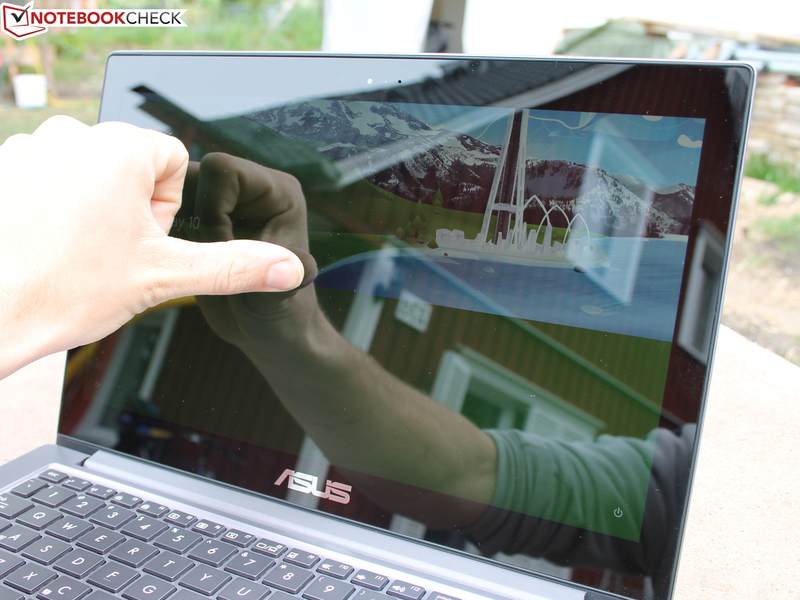 ASUS VivoBook U38N-C4004H: Now with a touch display. Unfortunately that also means the screen is highly reflective. 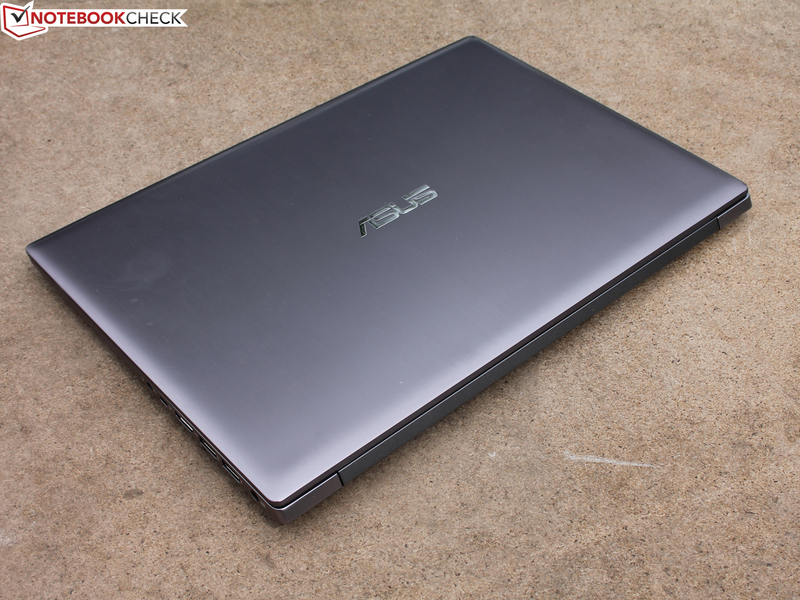 ASUS VivoBook U38N-C4004H: The constantly running fans ruin the otherwise attractive overall appeal. The elegant case is worth bragging about. The display is first-class. One quiet fan. Nothing more. The loud fans don't fit at all in the high-quality overall concept. 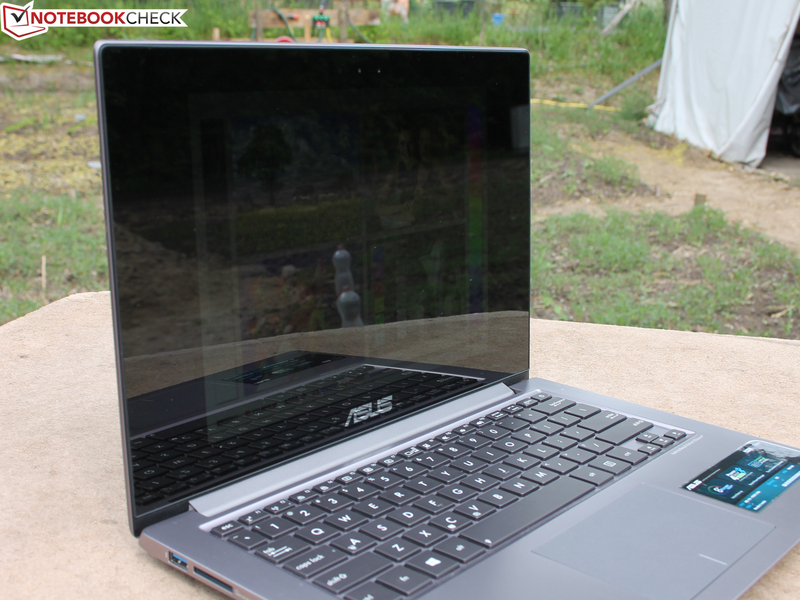 Did no one at Asus try out the 13-inch device?